July 2018 newsletter: Summer is FINALLY here! Popsicles, pools and sunglasses are my accessories of choice so far this summer. I hope you all are enjoying every sunshine-y, gorgeous day! some stats to show what a great housing market we live in here in Ottawa! RENOVATIONS!! Which renos pay off most when selling a home? Check out this handy chart for the answers. AND REMEMBER: your realtor is a great resource to guide your renovation - we know what trends buyers are leaning towards! PS - watch your snail-mail in August for an invite to my annual apple picking event. Ottawa continues to be a strong market: we are isolated from more national trends, thanks to government, DND & hi-tech sectors, especially in the west end of the city, plus Ottawa is still affordable - great for 1st time home buyers! Country road, take me home...To the place I belong. it's taking time to think, to mull things over, and eventually, when we are really still & quite, it's paying attention to that little guiding voice inside. It’s quite amazing the things you learn when that little voice has a chance to be heard. So that is what I’ve been doing lately – stopping, yielding to that voice, paying attention to what drives me and what makes me passionate. How does this relate to my business, you ask? Well, I’ve been on this road now for about 5 or 6 years…the bumpy road of entrepreneurship: learning and self-discovery. What makes Nancy tick? As much as we’d all love to take off and kick the concept of 'working-for-a-living' to the curb, reality and mortgages and bills say we can’t. My road of entrepreneurship has led to what I’m doing now: real estate, and I love it. I’ve been practising for almost 2 years now and it’s hard to believe that much time has gone by already. The old adage of doing something you love so you never work a day in your life really does have merit! Nothing is perfect, and of course some days are tough, BUT they are tough in a way that is so meaningful and fulfilling. I wouldn't trade them for anything! I love my business - helping, guiding and supporting people through one of the most intense, stressful and exciting times of their lives is nothing short of satisfying - but I knew there was something more to discover, like an angle I hadn't yet considered. Something was sort of tickling my mind, encouraging me to allow my business to grow and evolve without judgement or worry about 'where is this going?' and just TRUST. Businesses are little funny things - a lot like babies, they are born a ball of potential to be shaped and molded and grow. Throughout the time that I was contemplating what my business what evolving into, I started to get back into horses and riding. Short history lesson here: Anyone who has known me since I was a kid knows that horses have been in my blood forever. I lived, breathed, dreamed everything horses since I was a child. I rode for 6 years, getting to be a pretty decent rider, jumping 1 metre fences and able to complete a dressage course. It was exciting. So last October I found myself once again in that familiar setting and I sank into it like a comfortable armchair, savouring every_little_bit. I was in a barn. I breathed in that horse scent. I was in heaven. That was enough to give me the nudge to explore how horses could once again be part of my life. That itch wasn't leaving me alone so I paid attention to it, and started searching for opportunities that would allow me to be with these majestic creatures. A groom position at Wesley Clover Parks was the answer I was looking for! The more I became immersed in horse life, the more I realized how much I freaking missed it!! Fast forward a few months and I'm up to my eyeballs following horse-related Facebook groups of every kind. Like that kid from years ago, I can't get enough! While on these groups, I noticed something when a 'coming for sale soon' house was randomly mentioned by group member: people got really excited! They wanted to know more, wanted to see it, wanted to move there...and that's when the light went off...well it flickered. It wasn't a full on AH-HA moment, but something clicked. I reached out and found horse people looking for horse properties were very happy to have someone who knew both real estate and horses, help them out! 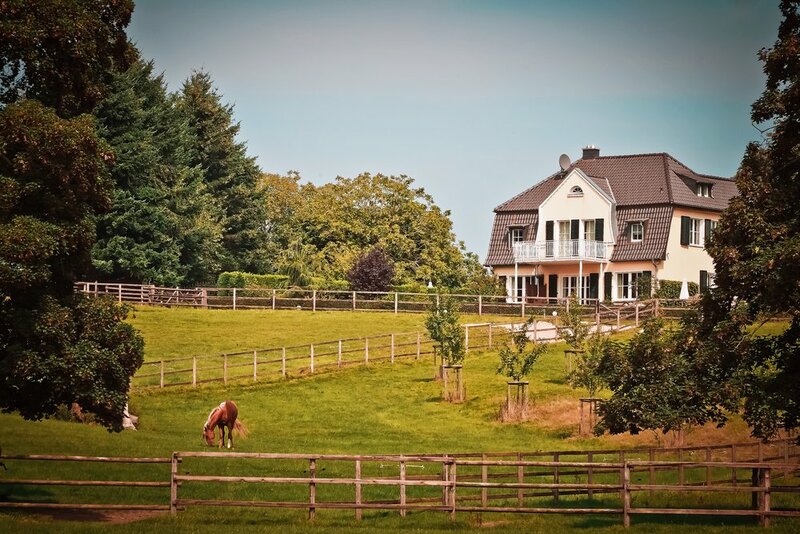 There is a need out there for someone to bridge the gap between buyers and sellers as a lot of opportunities are not listed for sale and looking for a horse property has a lot of factors and considerations that are unique to those properties and businesses. That someone to bridge the gap is me! So now that I've solidified the vision for my business, I can say definitively, and with all my heart that I am dedicated to being THE horse property match-maker in the Ottawa area! The way my groom position, my love of horses and real estate has clicked into place together is really inspiring me to reach for whatever is out there, to follow my passion, and listen to that little voice inside. 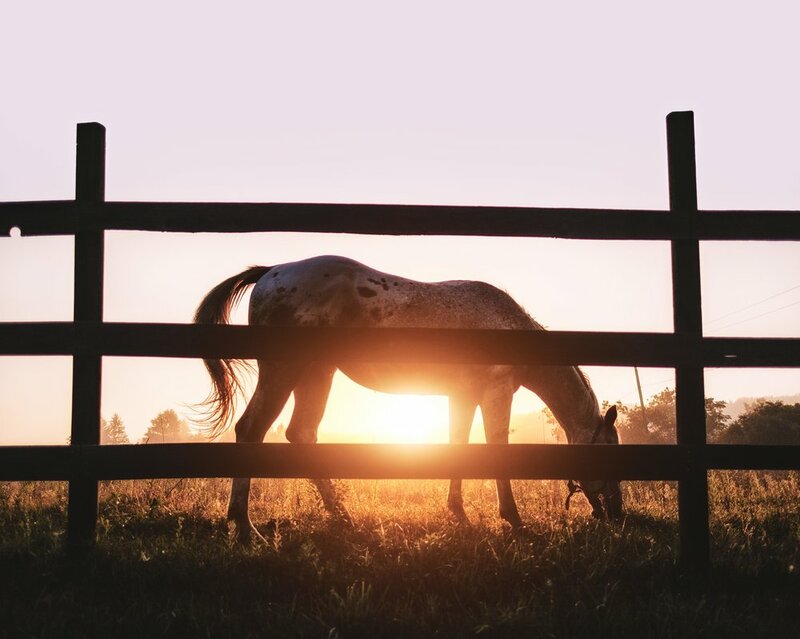 So that is my announcement - I'm still continuing to provide dedicated service to my clients looking for and selling residential properties, but I will also be connecting with horse lovers, horse businesses and farms and driving all over the Valley to connect people with their perfect horse-loving spaces! I've started compiling the lookers and the sellers, and I've already made some connections, so this focus and approach is definitely taking hold and I'm THRILLED! If you know of anyone that would make sense to add to my list of properties or buyers, please share with them what I am doing, who I am and pass along my name, email, website, even this blog post! If in doubt send me a text, email or call. Thanks for reading, thanks for your support and thank you for your business! So happy and excited to share this new direction with you all. A lot has been happening both in the Ottawa market and with my business over the past month. Activity & movement are the themes of the day! The average sale price of a residential-class property sold in March in the Ottawa area was $447,561, an increase of 8 percent over March 2017. The most active price point for residential sales is in the the $300,000 to $449,999 range. This is MY FAVOURITE stat: $500,000 to $750,000 market is a price point that is showing significant growth! This typically doesn't have this level of activity however it represented a whopping 21 % of the residential homes sold in March! Click on the window below to view the newsletter in its entirety in the ISSU publication viewer. Aside from the market, my own business has been growing - not only have I been helping more families get to where they want to go, I have also been starting to carve my niche and hone my brand. Clarified positioning myself as a 'holistic house hunter', dedicated to helping people find their perfect space by addressing their needs beyond simply crunching numbers, and showing listings. It's about really understanding my clients - their vision for their home - whether buying or selling, and understanding what this process means to them. Added a new and exciting part to my website: Changing Spaces This new section highlights the properties I've helped buy, sell, rent and lease. ASIDE: As a real estate website, I cannot advertise homes that I've sold (as per our Board rules) so this way, I can show who I have helped and how which really is much more satisfying than saying I sold this house for this price! Lastly, if you follow me on Instagram, you would have seen a teaser post about an upcoming announcement regarding my business. If you don't follow me, why not?! Go...Do it now.....Seriously. That announcement will be on my blog post this weekend. It's something that means so much to me, and is really solidifying finding my place in this industry, from which to serve others with heart and passion. Please come back to check it out...or follow me on Instagram. Until then, thanks everyone for your support and for your business. I am honoured to know that I can help people every day. The clocks have sprung ahead, and the days are longer! It's definitely feeling like Spring is around the corner despite the wintery weather this week. Hang in there...we are almost through another Ottawa winter! March has shown that fairer weather is on the minds of home sellers and buyers. I am seeing about 20 new listing on MLS each day! Despite tougher qualification requirements for mortgages, most Canadians are in good shape to get a mortgage. The average sale price of a residential-class property sold in February in the Ottawa area was $429,600, an increase of 2.7 percent over February 2017. And not surprisingly....the most active price point in the residential market is the $300,000 to $449,999 range, accounting for 47 percent of the market. Read page 2 for 3 ESSENTIAL TIPS to selling your home in Spring! Real estate professional Nancy Ceresia and Communicarium are pleased to announce the website www.nancyceresiarealestate.com has won a Gold MarCom Award, which honors excellence in marketing and branding while recognizing the creativity, hard work, and generosity of industry professionals. Nancy is accepting new clients and you can see her website here: www.nancyceresiarealestate.com. To view the complete list of 2017 Gold Award winners, please view the site. Not all offers are created equal. In a seller’s market, the strategy behind the offer is what counts. Buying houses is something most people do only a handful of times throughout their lives. Each time, they must become acquainted with the current market and financing rules (watch for an upcoming post on the changes effective January 2018!) and as well as changes to the overall purchase process. Today, I am going to focus on the buying side of the process, as this has been particularly challenging over the past 6 months in Ottawa. First of all, what is a seller’s market? Simply put, it is a market where the demand for houses exceeds the supply, therefore driving up the competition for the homes that are listed. This often results in three things: multiple competing offers on one listing, higher market value (the price people are willing to pay) and shorter time on market. October 2017 statistics in Ottawa indicate this is the trend, reporting average residential sale price has climbed 7.7% to $425,256 over October 2016, as well as fewer days on market; down 17.7% from 55 to 45 days. In a seller’s market, multiple offers are quite commonplace. They are great for the seller, but add to the already stressful process of submitting an offer. This is why having a strategy behind your offer is so important. You may be wondering how something like an offer, with standard required elements, can have a strategy. This is where a real estate professional who is representing you, the buyer, earns their dough! Money doesn’t always talk, but in a seller’s market, it tends to have a pretty loud voice! In a seller’s market, buyers want to make their offer more attractive than the competition. This can create what is commonly referred to as a ‘bidding war’. In a seller’s market, money does talk, quite loudly actually, BUT it doesn’t always come down to how much you are willing to pay. But what happens when you don’t have the financial resources to outbid the competition or it’s just not wise to overpay on a particular property? In some cases, the closing date is more important to a seller than the price they get for the house. Maybe they have to move by a certain date (common in military moves) or they have another house they have an offer on, that requires them to take possession on a certain date. At any rate, don’t discount the importance of this detail. I like to establish a good rapport with the selling agent right from the get-go to find out if possible how much the closing date weighs in their decision making. Conditions: Not all conditions are created equal! 2. 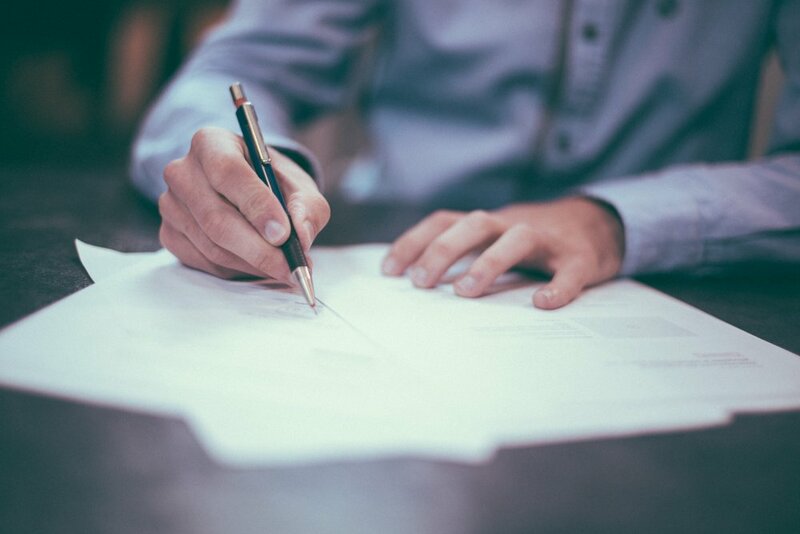 Inspection – buyers can make the purchase conditional upon an inspection taking place, and that the findings are to be taken at the buyer’s sole discretion. 3. Insurance – the purchase is conditional upon buyer’s securing insurance for this particular property. Financing is also usually contingent upon securing property insurance. 4. Legal review – this is not as regularly included, but again, protects the buyer. It provides the opportunity for the buyer to have their lawyer review the offer to ensure their interests are legally protected. Some people opt to exclude this. Discuss this option with your real estate professional to see if it is right for you. NOTE: Other standard conditions that may be included apply to rural properties (well/septic inspections) and condominiums (title search to ensure reserve fund is adequate, among other items). Today however, we are focusing on the 4 above that are typically included in all offers. This is when the conditions in the offer come into play. They vary in complexity and circumstances for every single buyer, seller and transaction. Therefore, not all offers are created equal! This situation is when your real estate professional should step up and provide expert guidance, as well as drawing on other resources like your mortgage broker or financial officer to help determine if, for example, the condition of financing can be waived. If this is the case, it can make an otherwise lesser offer much more appealing to the sellers, as it is telling them that there is no chance for the deal to fall through on financing. The flip side, however, is that you, the buyer, cannot back out if you end up not being able to secure financing. I cannot stress enough the importance of working with experts to ensure you won’t be stuck with a house you can’t get financing for! Working with professionals is key to protecting your interests! If you are able to exclude the condition of financing, it can really help swing the odds in the favour of your offer in a multiple offer scenario. It is by no means a guarantee, but it’s an excellent strategy that can make a difference, resulting in a winning offer as financing tends to be the condition that does carry the most weight for sellers when they are considering offers. Because time is of the essence in a seller’s market, it is wise to sit down ahead of time with your real estate professional to discuss these strategies and have a game plan in place, so when the time comes to put in an offer, you have already done the leg work for the financing and have all of these details sorted and ready to go. The devil really is in the details and having an experienced real estate professional with a network of resources at their disposal can minimize the stress associated with multiple competing offers, not to mention increasing your chances of coming away with a winning hand! Are you ready to buy? Let's chat about your individual strategy to make it happen! Email me! Fall 2017 market: to list or not to list? So in a HOT market, like we are in right now in Ottawa, what do you do? One thing I have learned in real estate (and in life too) is that nothing is ever 100%. Trends & research are there to guide us along. Experience is the intangible value that realtors bring to the table: good ones have their finger on the pulse of the market. So in a HOT market, like we are in right now in Ottawa, what do you do? Ride the current wave, even if it means maybe listing when you are less than 100% ready, taking advantage of the trend that many homes are going for asking price or over(!!) OR wait it out, and bank on a vibrant Spring market, as is tradition? There is no ONE answer. The best answer is to look at your own goals and expectations associated with the sale of your home. Only an honest, frank self-evaluation can answer that, plus the guidance of your realtor. In this situation, your realtor will show you how fast similar homes are selling, and the % sale price of asking price. If your home is in the 'sweet spot' - that is the highly desirable kinds of homes that many people are seeking right now, namely townhomes between $300,000 - $400,00 and single starter homes under $500,000, then the market is tipped in your favour so far this Fall. If you are in the west end of Ottawa (Kanata-Barrhaven-Stittsville) even better! There is demand no doubt. If however, your home is upwards of $550,000 plan for a sale to take a while longer. There are fewer buyers in this price point and they may not be as rushed or feel as pressured to buy a home because there generally is less demand and these homes tend to last longer on the market, thus taking away some of that urgency we are seeing in the 'sweet spot' category. And you are thinking now, "Well that's all well and good, Nancy, but you haven't answered the question." Well, here it is. My take on it is the following: if your home is in the first category of 'sweet spot' homes, and timing isn't really a factor for you, by all means list your home for sale this Fall - October at the latest. Do it and be part of the active sellers market that we are definitely in right now. My other piece of advice is to speak to your realtor or contact me if you don't already have one. We are in your corner to help create a strategy to leverage current market conditions in your favour, meaning top dollar and a fast, smooth sale and close. If what is best is waiting till Spring, then so be it. A good realtor will put your best interest ahead of their commission. After that essential conversation, you should feel comfortable about your decision because you & your realtor have done what is best for YOU. Congratulations! You have bought a new home! After the emotional high of having your offer accepted, and the whirlwind of setting up and attending the home inspection, getting your financing secured and finding a lawyer, the last thing you’ll be thinking of is what colour paint would look best in the bathroom! That’s normal. It’s also why having the opportunity to view your new home one or more times prior to closing is such a great idea. The opportunity to view the home one (or more) additional times before closing day is a term that should be included in the Agreement of Purchase and Sale (APS) at the time the offer is made for the benefit of the buyers. Measure & take photos: Now is the time to look at the space, imagine your furniture, and take photos and measurements for new purchases. Record ceiling height for ordering new drapes, window size for other window coverings, make note of the paint colours and light fixtures that are being left behind. If ordering new appliances is in the plan, make sure to take accurate measurements of the spaces. You would be surprised how many options there are for refrigerators – measure the opening for height, depth and width. Take measurements for furniture too – especially if you will be moving large pieces down a basement stairwell or other tight spaces. Paint selection: It’s always best to select paint colours in the actual rooms and spaces they will be used in, and more importantly, that they will be lived in! Never trust store lighting (yuck) and paint chips to choose your new paint. Colours change dramatically with light conditions (natural and artificial), and when placed next to other colours/tones like flooring or cabinets. I have personally spent the entire hour of a walk-through helping people choose their new paint colours! It was fun for me, but is also super smart to do in to avoid costly mistakes. Check for anything that has changed: As the saying goes, Sh*t happens! Since the inspection, the house (usually) has continued to be lived in which means things can break or become damaged. Use this time to go through and check to make sure everything looks OK. Check for obvious damage to walls (easy to dent when moving and packing), make sure vent covers are intact, screens don’t have new holes or damage, blinds are functional if they are being left behind. Check the carpets for new, noticeable stains, and wood floors for dents and scratches etc. Please note! I’m not talking about simple wear and tear – I’m talking about very obvious damage. Gaping holes in drywall, very obvious stains and damage of floors, broken doors, windows, etc.. With your agent, document everything and take photos to send to your lawyer so they can decide with the seller's lawyer what can be done. This is a great opportunity to visit your new home that you have no doubt been dreaming about since inspection day! Make the most of it and use the time wisely to prepare for your move, and most importantly, save yourself time, money and frustration by knowing exactly what you can expect on closing day. It's been a long time coming but my website is alive and kicking!! It's a place to see featured listings, but also to learn about the process of buying and selling houses, the newest info & stats, and also to learn about me as a person and real estate agent. Those who know me, know I like to have fun and am easy to talk to, but I am also proud to be able to stand up and be heard, not shying away from tough situations and conversations. Stick around to learn more about everyday life as a realtor and real person. Thanks and enjoy!